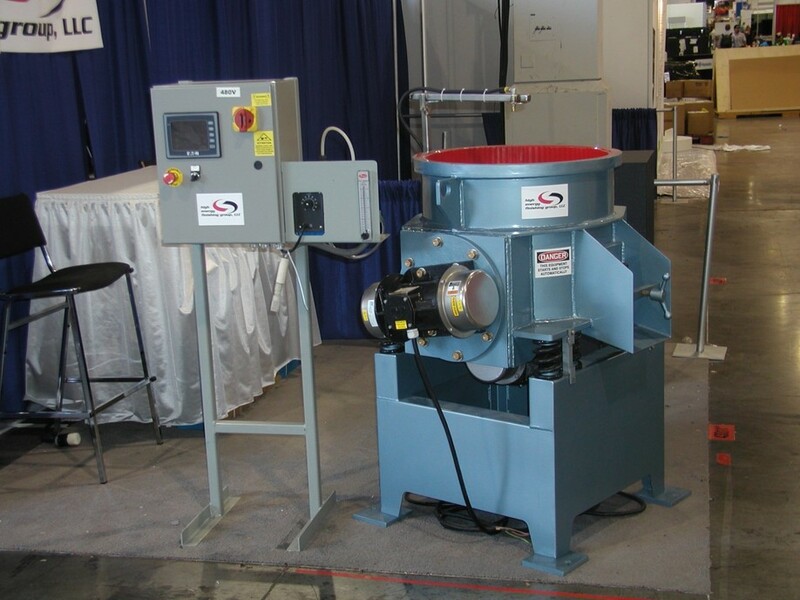 Come visit us at EASTEC 2019 - booth #5509! 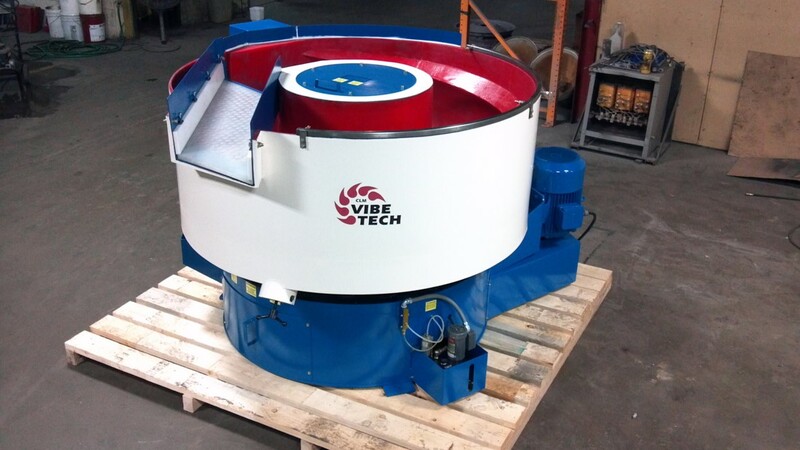 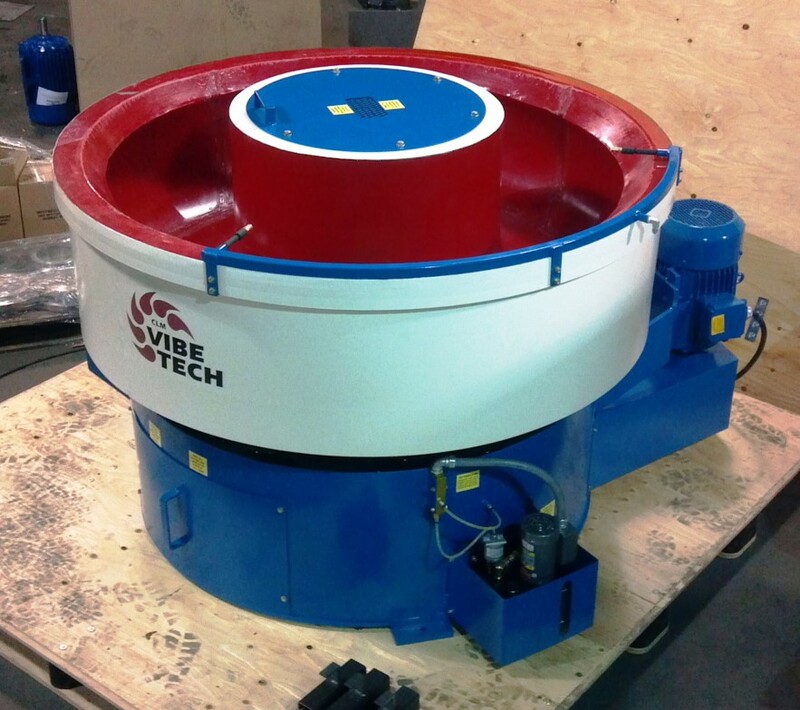 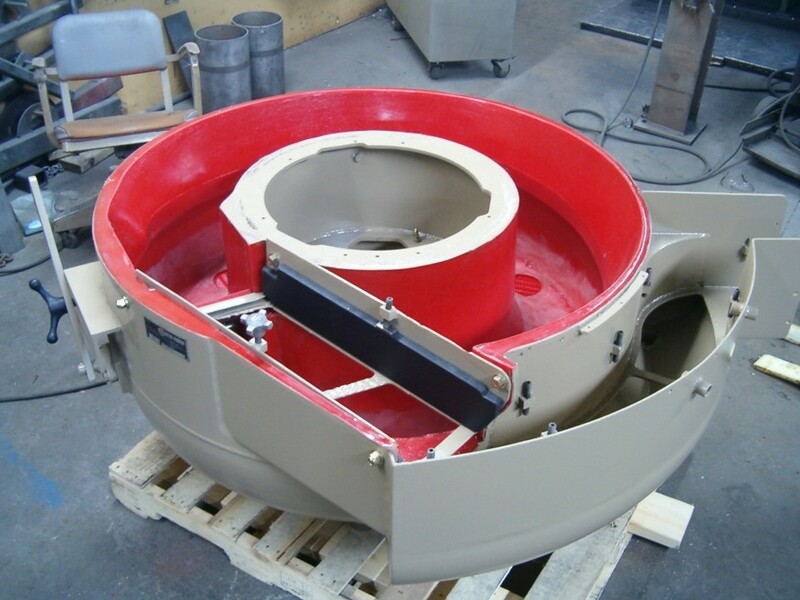 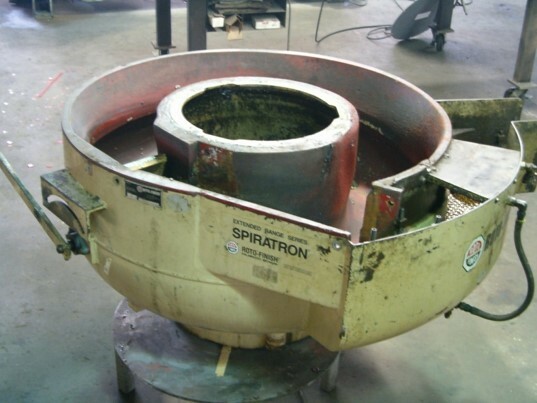 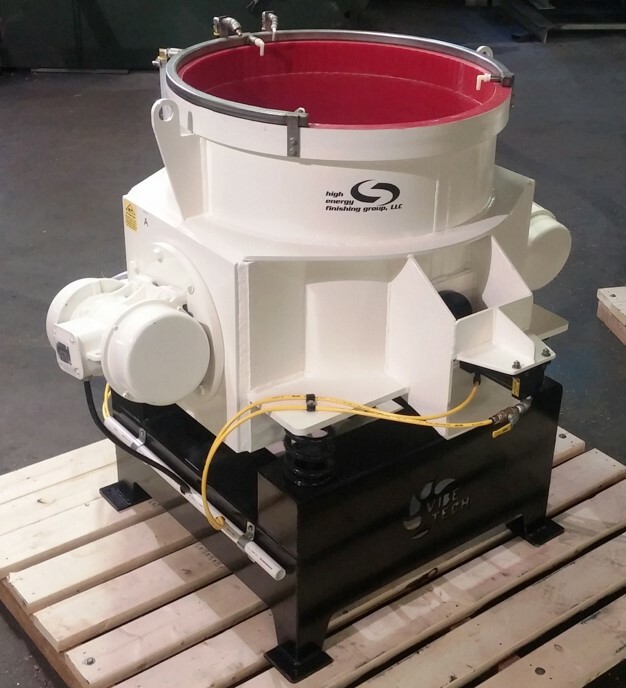 Standard round bowl finishers are the most common and versatile of all vibratory finishing styles of equipment. 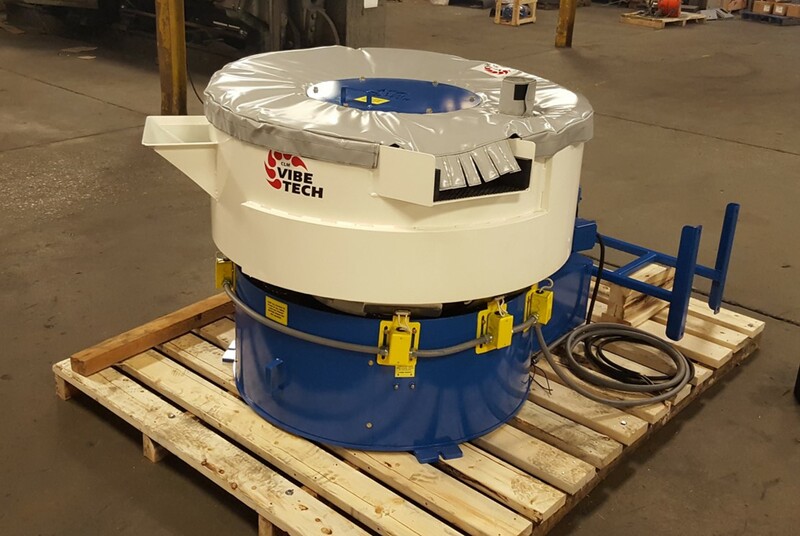 Whether you require internal separation, PLC automation, noise covers, pneumatic unload doors, settling tanks or more, this full line of vibratory finishing equipment is built with experience, inside and out. 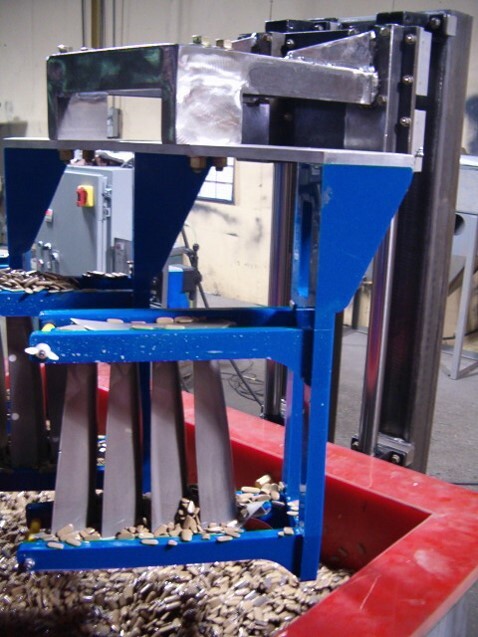 Tub finishers, or trough vibrators, are a versatile finishing machine for medium to large parts. 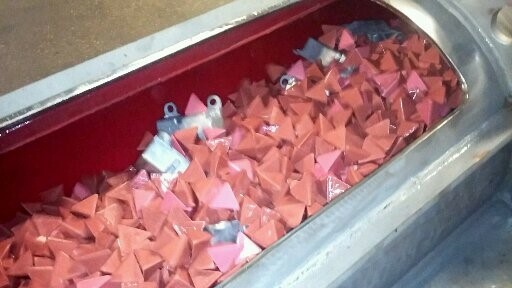 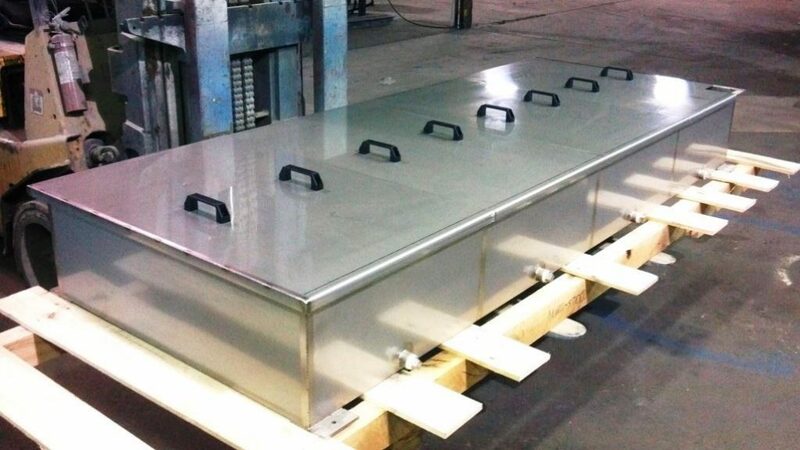 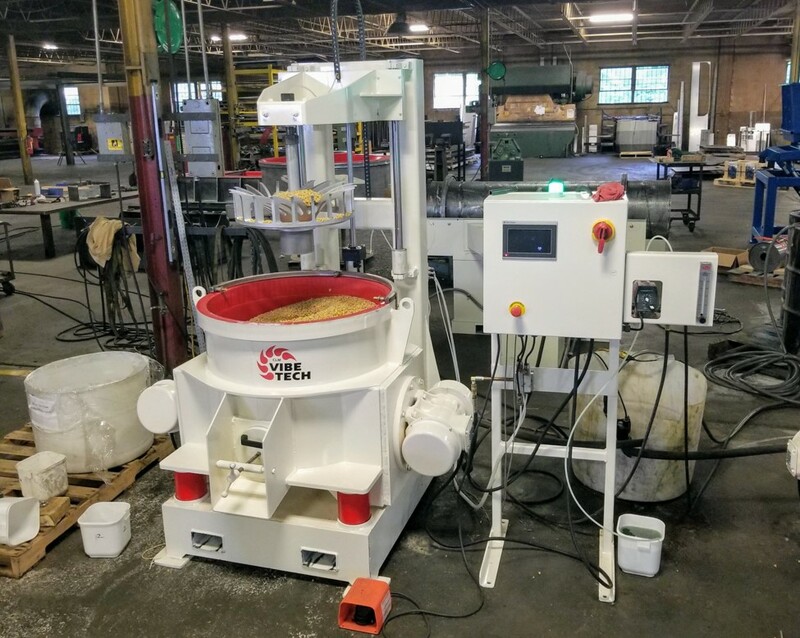 For their capacity, tub finishers provide the maximum channel width and allow parts to be easily segregated with customizable, removable compartment dividers. 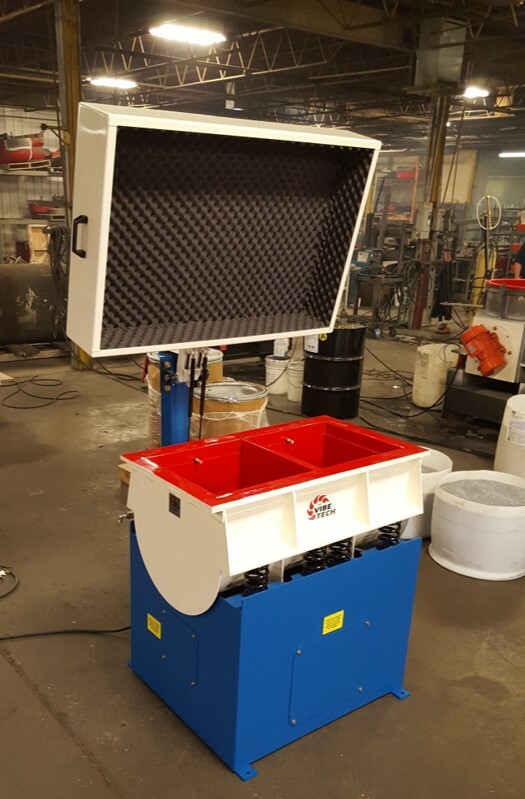 In combination with the tub finisher’s customizable compartment dividers, this feature allows operators to ensure a precise surface finish and batch integrity. 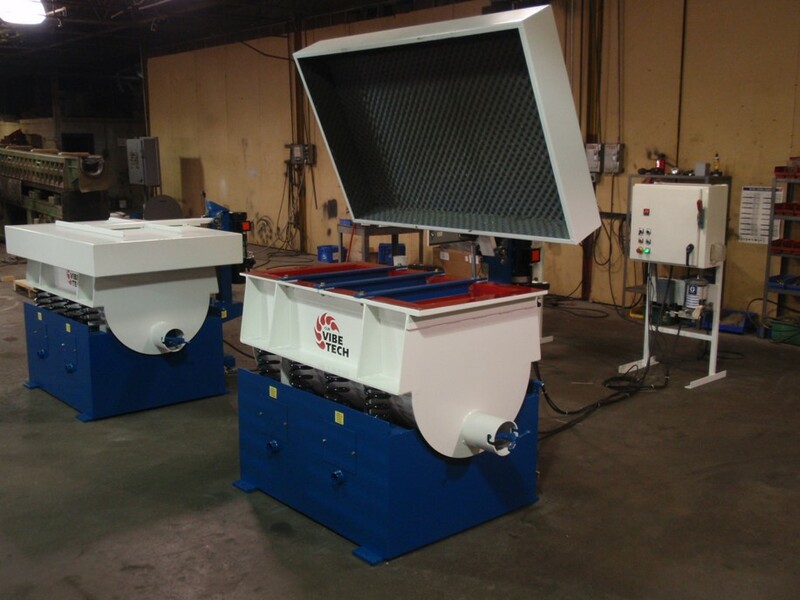 Inline finishers are continuous process finishing machines that are designed for high production rates of larger parts. 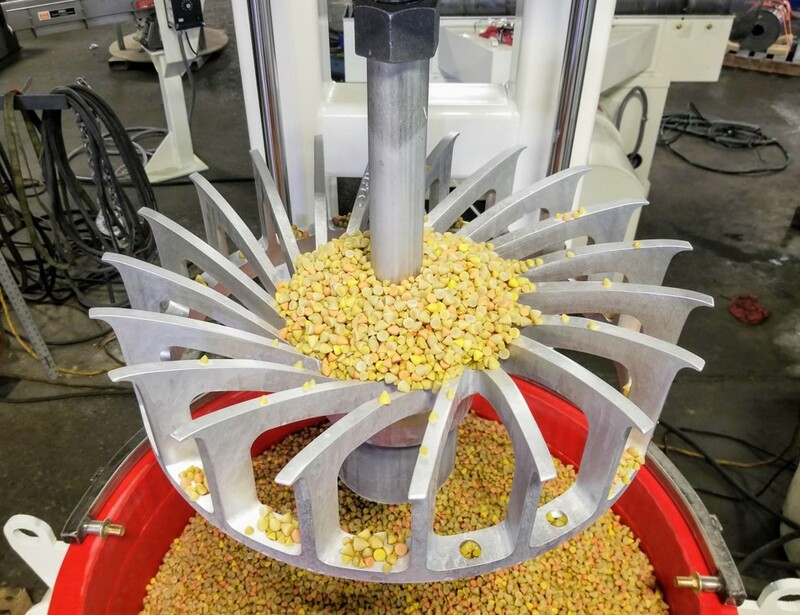 With the ability to eliminate the production bottleneck in the finishing department, they are used heavily in the die cast and CNC machining industries to rapidly deburr and/or deflash parts. 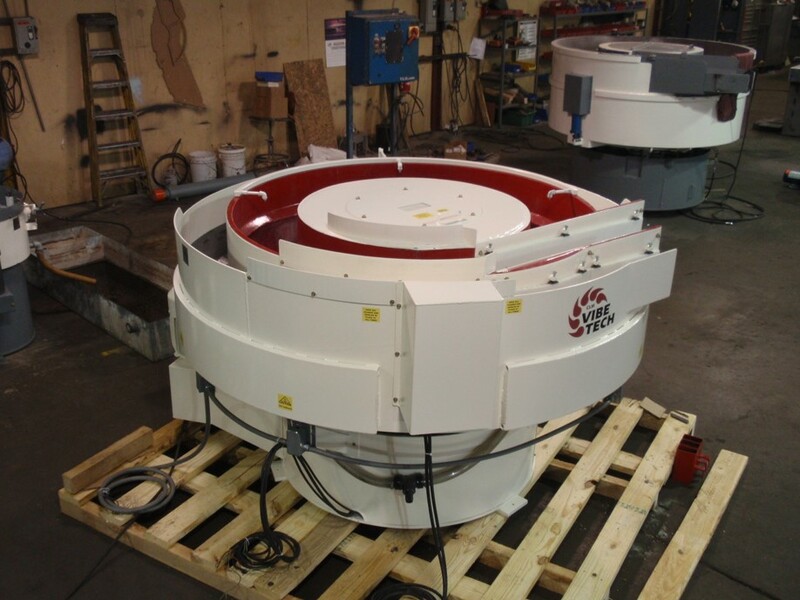 Parts are loaded into one end of the machine and go through a finishing process before exiting the opposite end. Afterwards, they are discharged onto a shaker screener to separate the media which is then diverted to a return conveyor that brings a consistent amount back to the beginning. 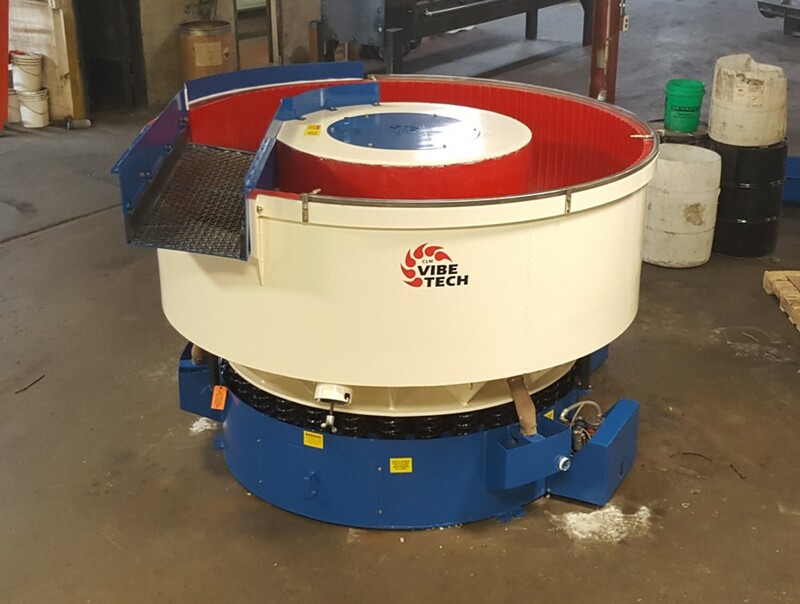 Featuring a longer working channel, a larger bowl diameter and a decreasing channel width, these long radius finishing machines provide a very aggressive action due to an expanded center column that allows for a longer lever arm. 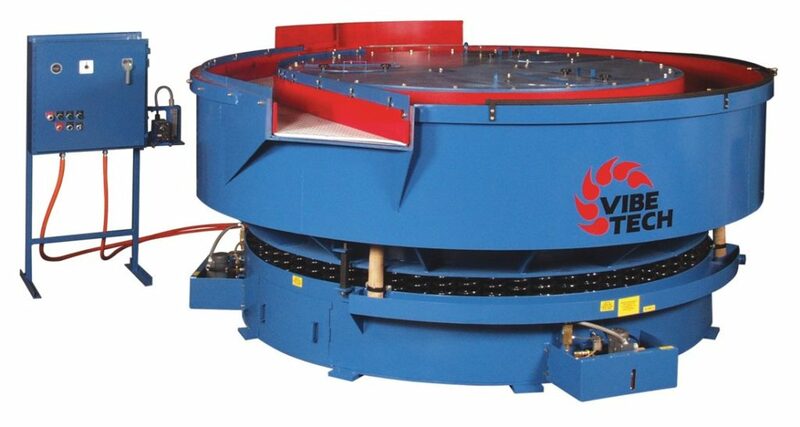 This style of finishing machine was specifically designed for steel ball burnishing and continuous operations. 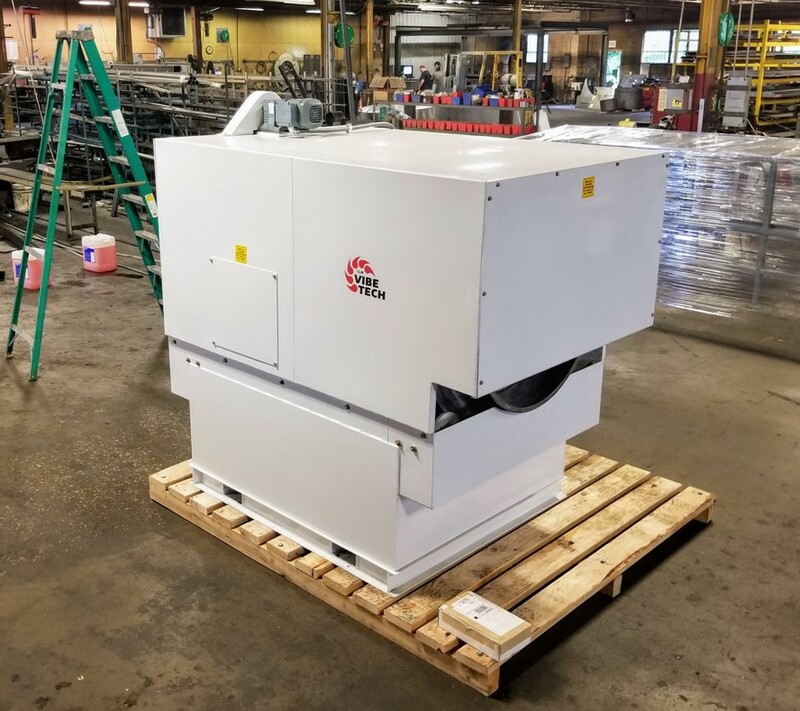 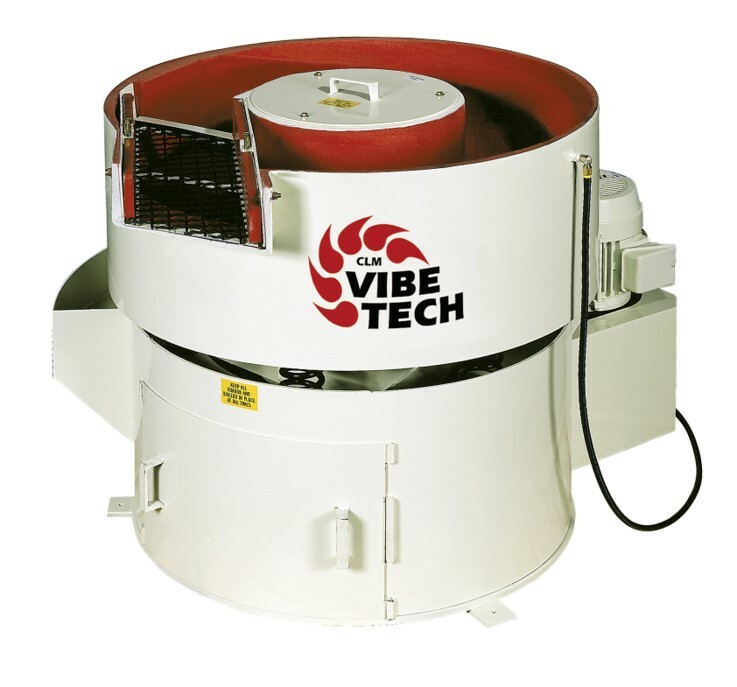 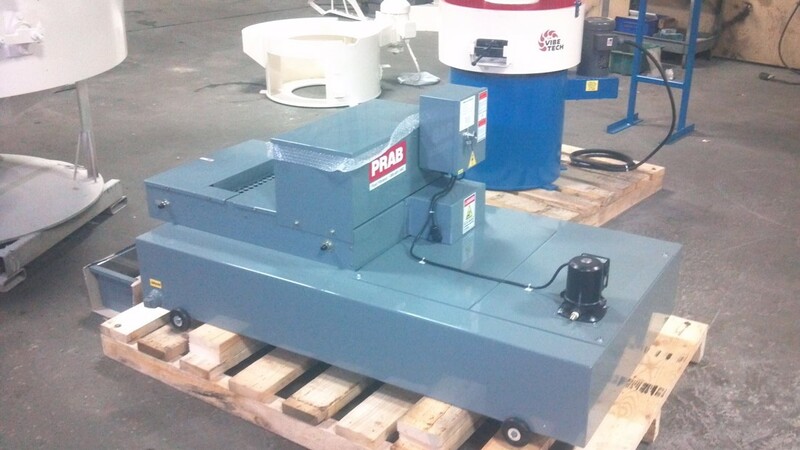 These vibratory dryers create a toroidal motion – a spiraling roll of media parts – and a vibratory motion that work together to achieve clean and dry part surfaces without leaving water stains. 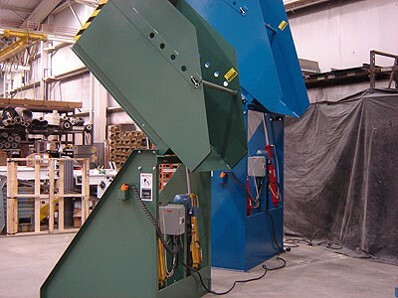 By utilizing a process channel that is heated directly from the bottom, these dryers distribute heat more evenly than traditional standing heat lamp assemblies. 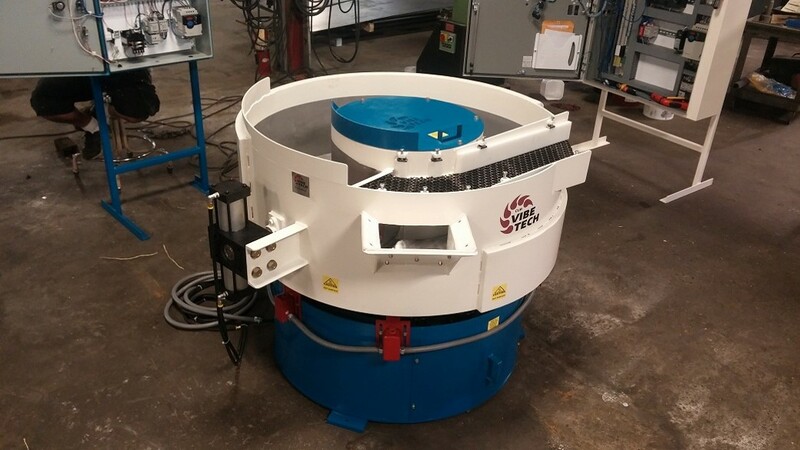 Unlike standard vibratory finishers that rely on amplitude and feed to create a rolling action to finish your parts, high frequency finishers generate a unique process that uses less amplitude, more frequency and a lapping style action. 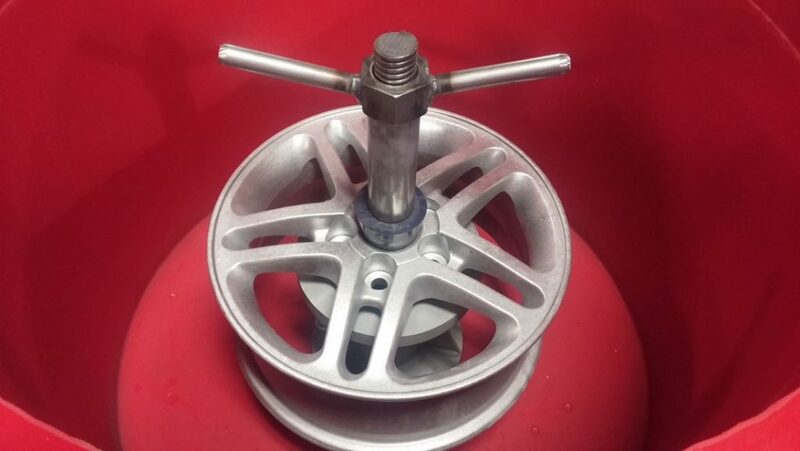 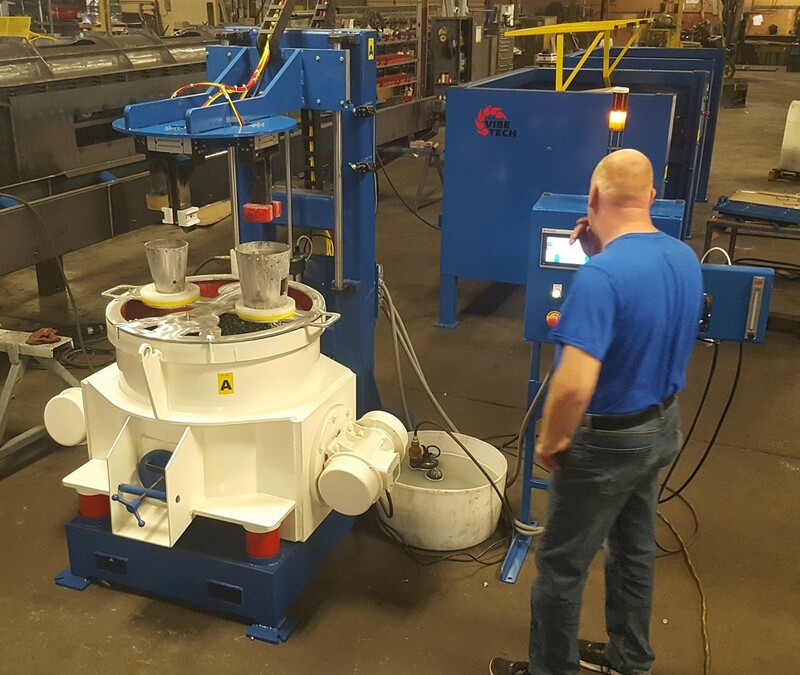 The result is complete part coverage, repeatability, fine polish, superior surface refinement and no part impingement, as parts are fixtured within the work chamber. 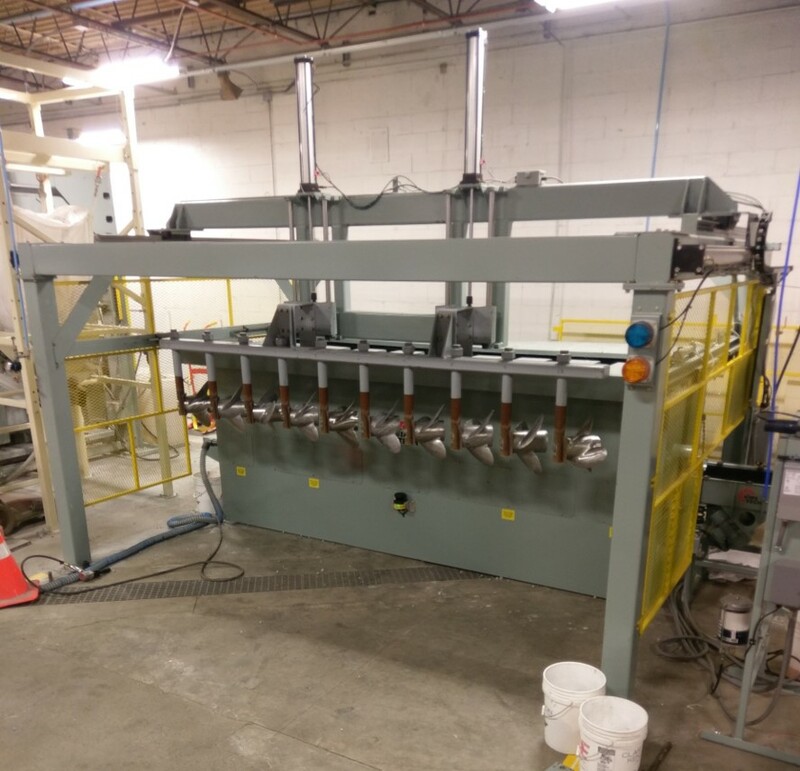 With this gentler process, high frequency finishers are ideal for smoothing high value or sensitive parts. 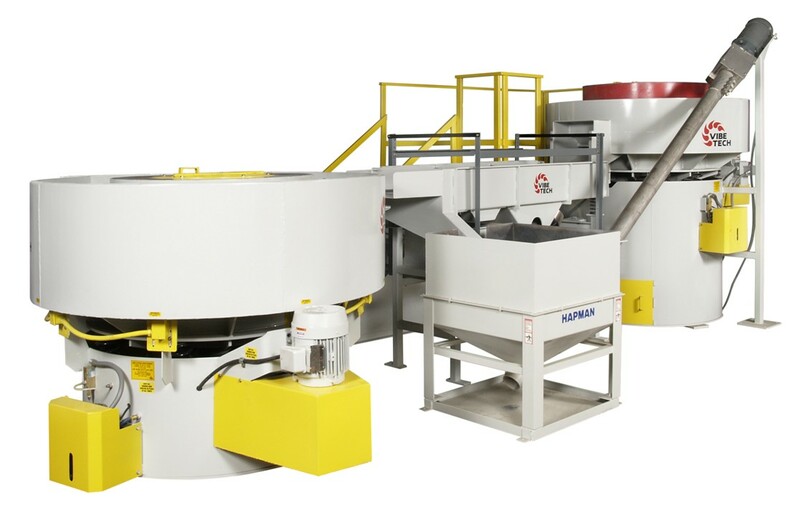 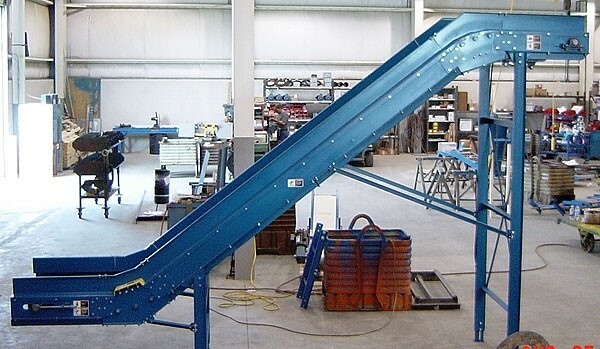 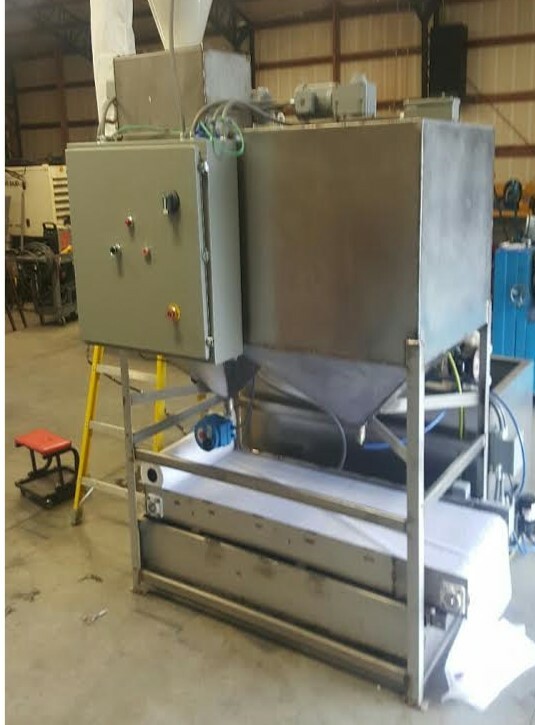 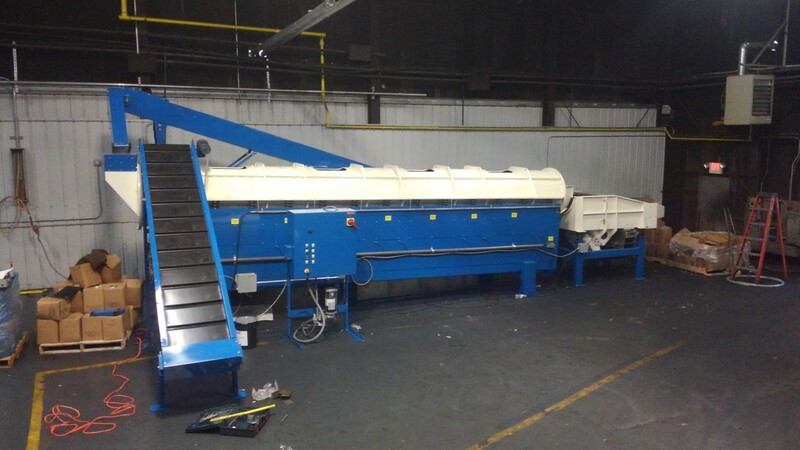 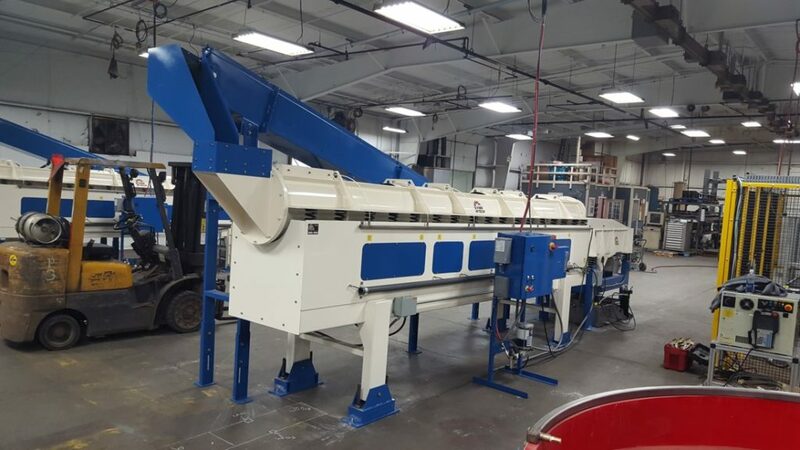 Typically used in applications where the entire mass – parts and media – requires separation after being unloaded from a batch finisher, shaker screeners are ideal for applications that require the separation of parts from media or as an offline media classifier. 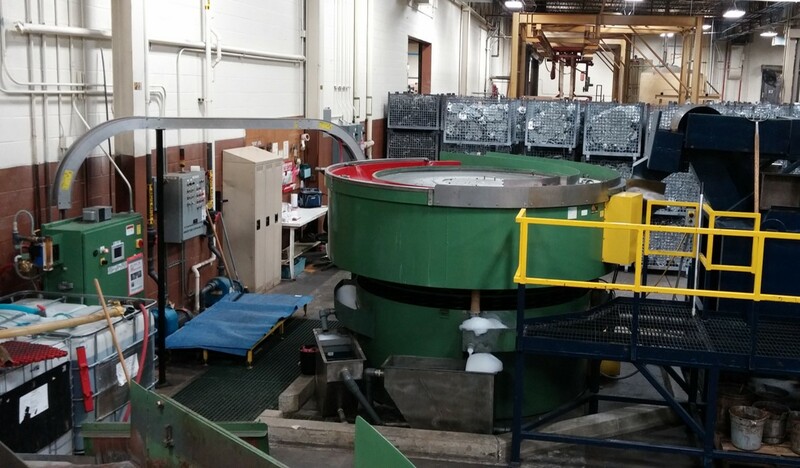 From basic to advanced, equipment options are available to take care of the waste water from mass finishing equipment or aqueous parts washers. 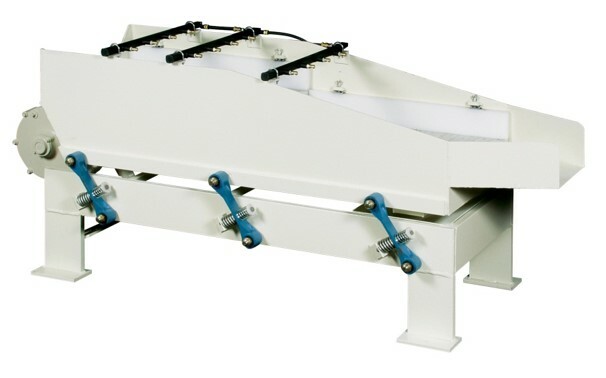 Some of the most economical solutions are settling tanks, manual paper bed filters or automatic paper bed filtration. 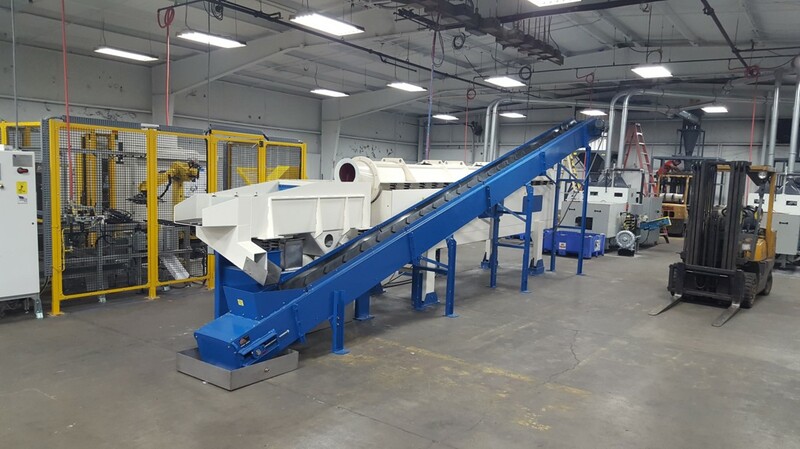 These economical solutions can greatly reduce the amount of ceramic or plastic residue that would go into your building’s waste stream. 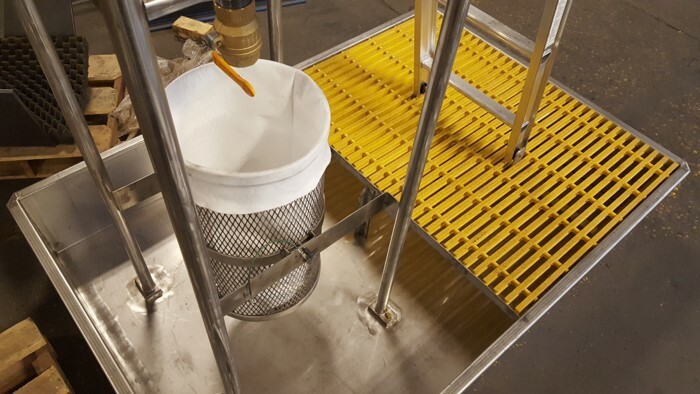 More advanced options include ultra-filtration, centrifugal separation or flocculation combined with separation. 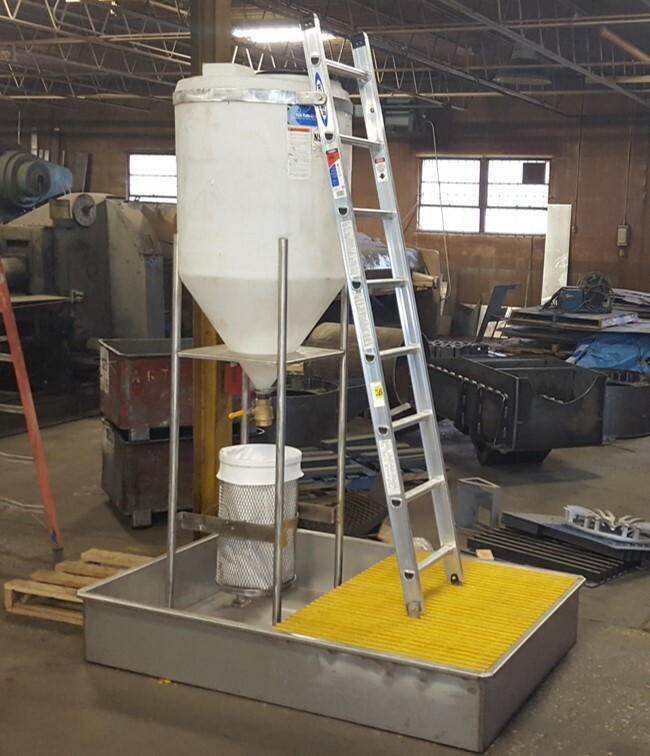 On today’s factory floor, protecting the welfare of your employees is essential to productivity. 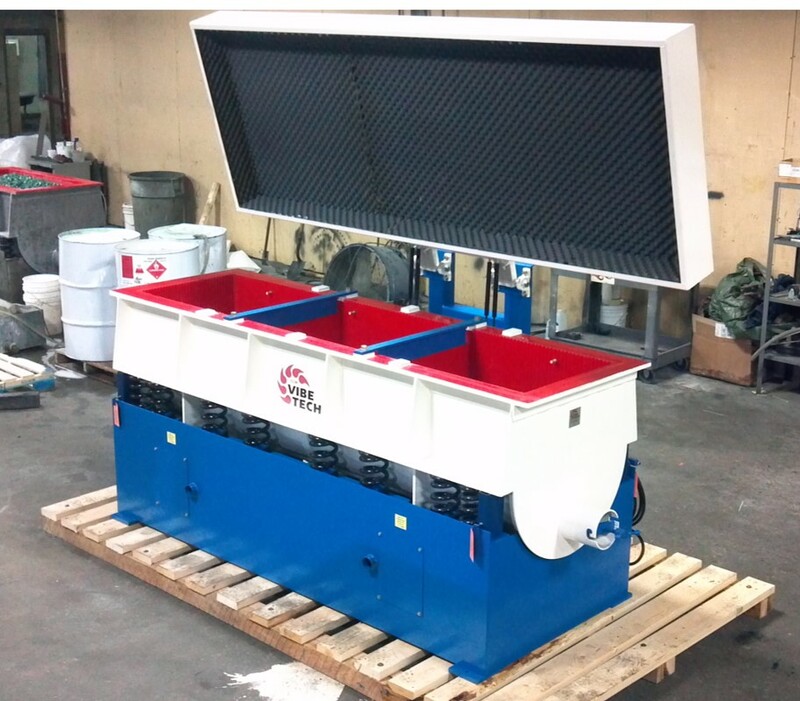 While mass finishing equipment often creates substantial levels of sound pollution, there is a solution. 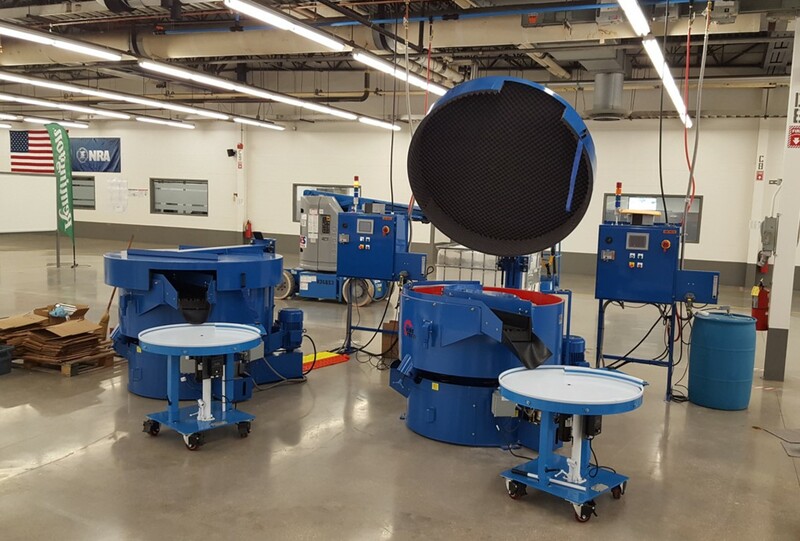 Sound protection products greatly reduce sound pollution and, more importantly, ensure a safe and comfortable environment for your employees. 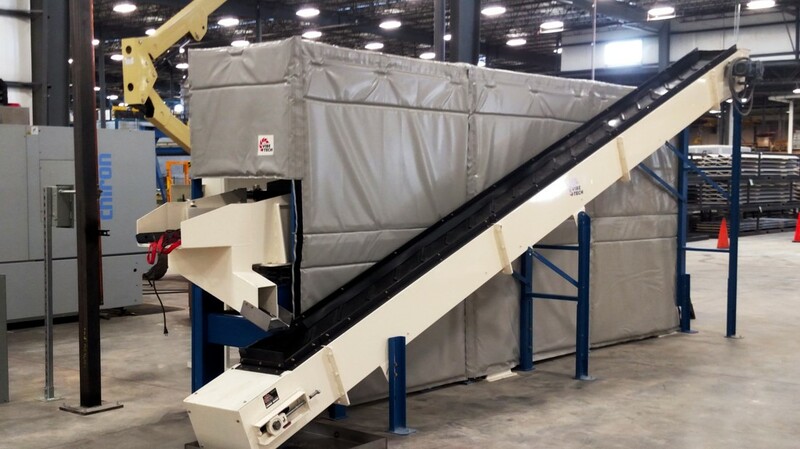 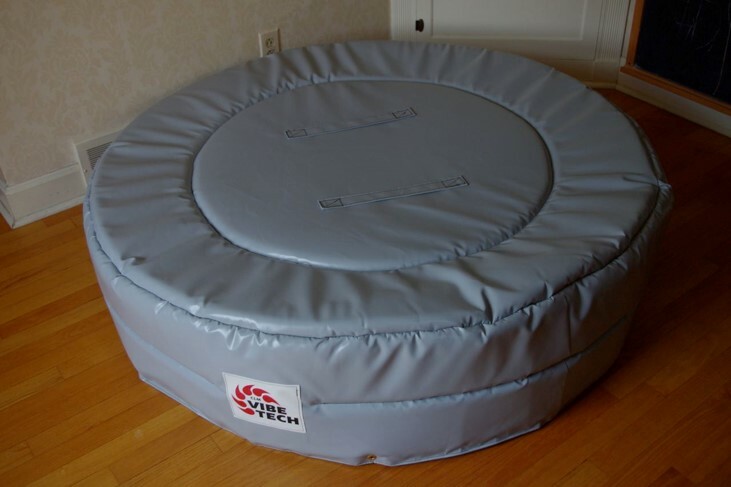 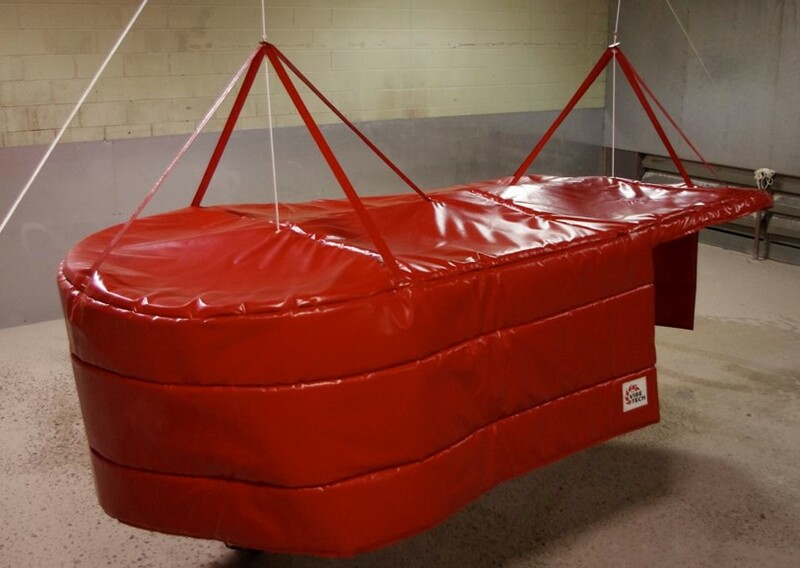 The most economical solution, a sound cover, is made of heavy-duty vinyl with 1 inch sound abatement foam. 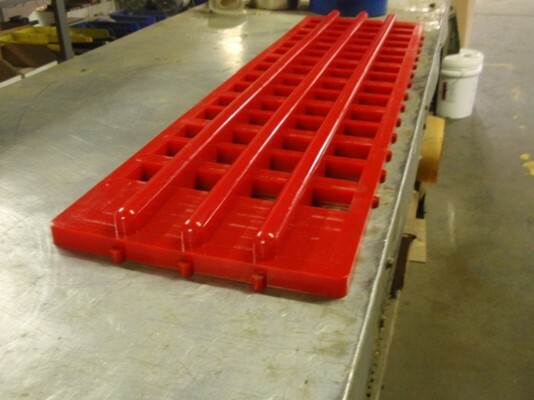 The cover is then custom fitted to your machine using any necessary cutouts that are required. For increased durability, we offer rigid sound hoods made of aluminum sheet stock and sound abatement foam. 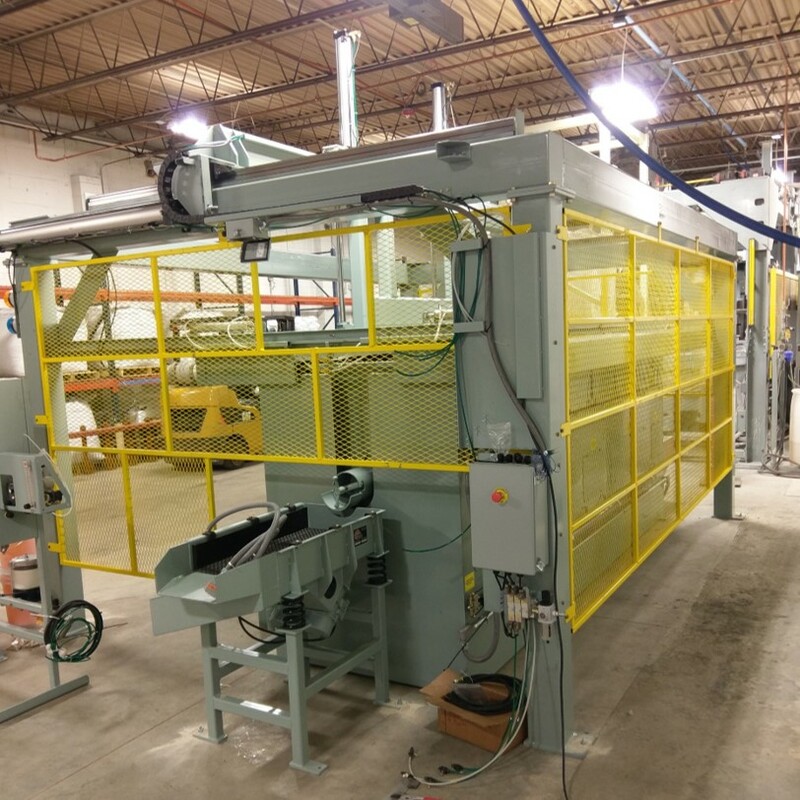 Relines refers to the removal of old or worn out linings from your current finishing machine, inspection and repair of structure and replacement of the lining with a new polyurethane material. 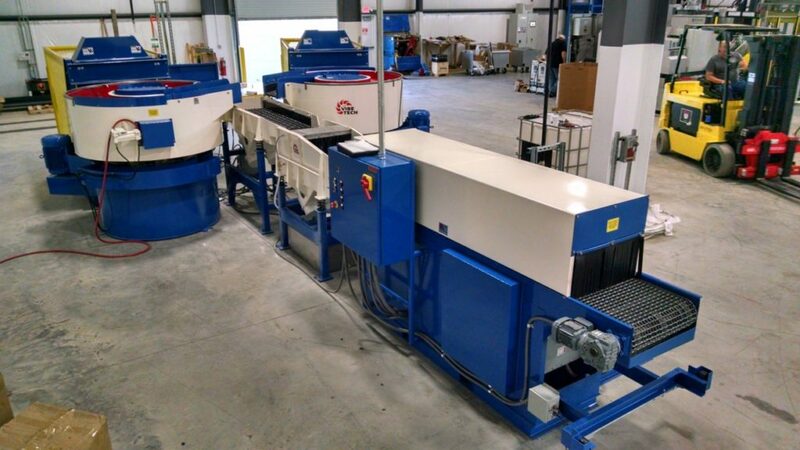 We offer a full reline service that covers nearly every make and model of mass finishing equipment. 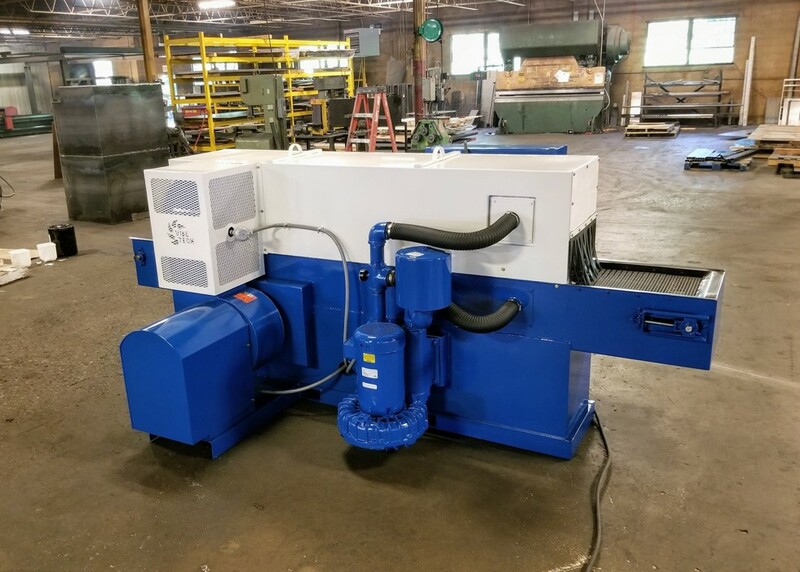 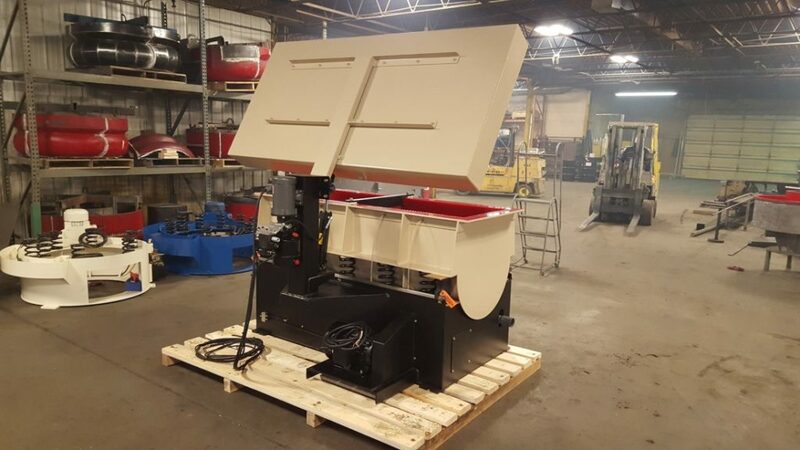 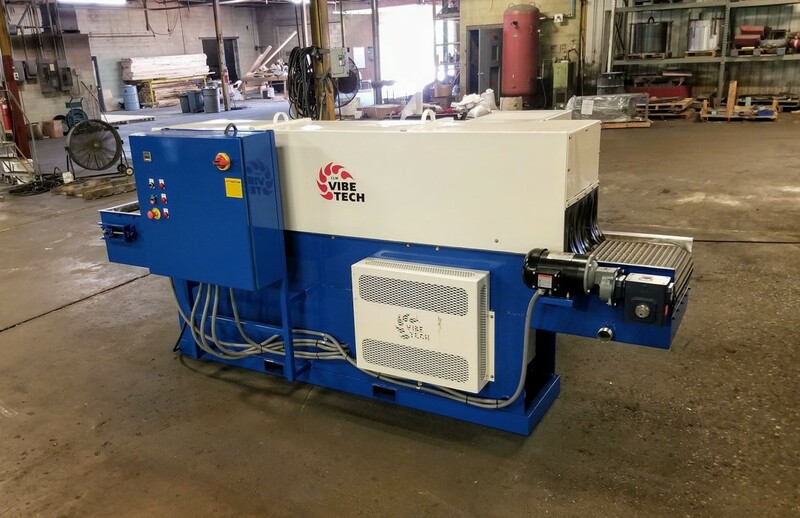 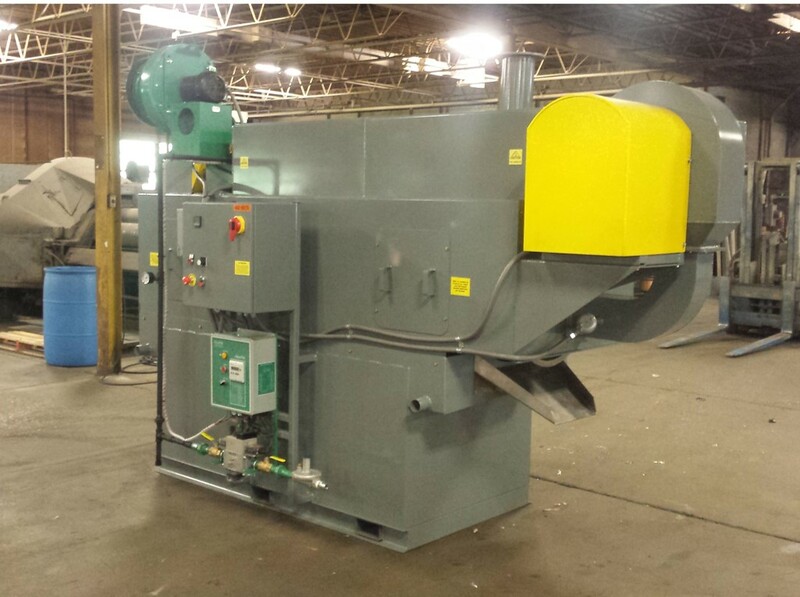 Blast & Wash Systems has been the fastest growing distributor of blast equipment, dust booths, robotic automation, and parts finishing equipment in Buffalo, Rochester, ans Syracuse NY and WNY and CNY.